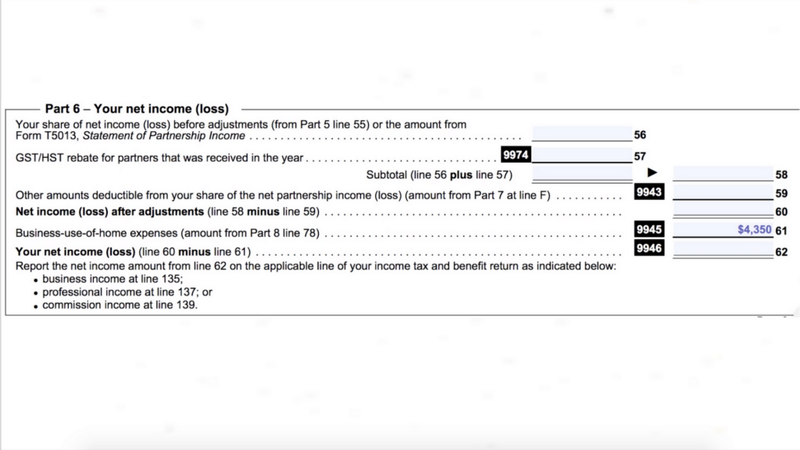 How to complete form T2125, Statement of Business Activities Part 2 in 3 easy steps. Specifically, we will review the sections of this form related to home office expenses, capital cost allowance and vehicle expenses. This is the final part of a 2 part series. If you work from your home office and meet certain conditions, you can deduct home office expenses from your business income. Specifically, you have to meet only one of these two conditions. b) You regularly meet clients in your home office. 1,500 square feet is 75% of the total size of her home that is used for personal purposes (1,500 / 2,000). If we multiply her total home office expenses of $17,400 by 75% we get $13,050. 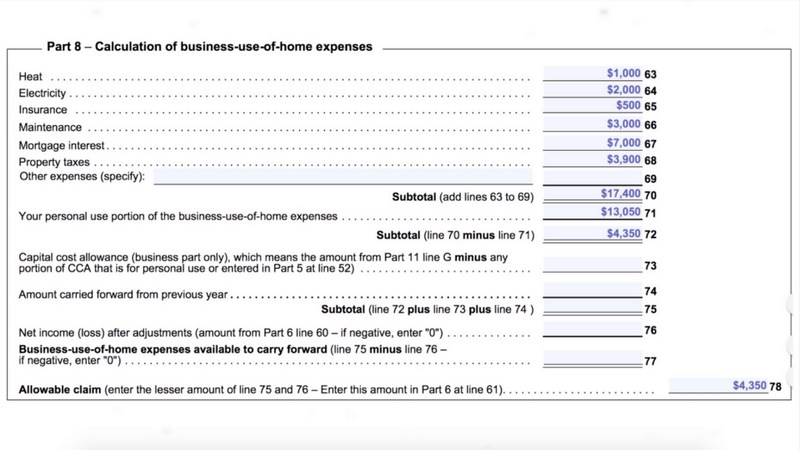 Enter $13,050 as “Your personal use portion of the business use of home expenses” on line 71. The difference (on line 72 and 78) of $4,350 represents the tax deduction Ms. Oscar can claim for her home office expenses. 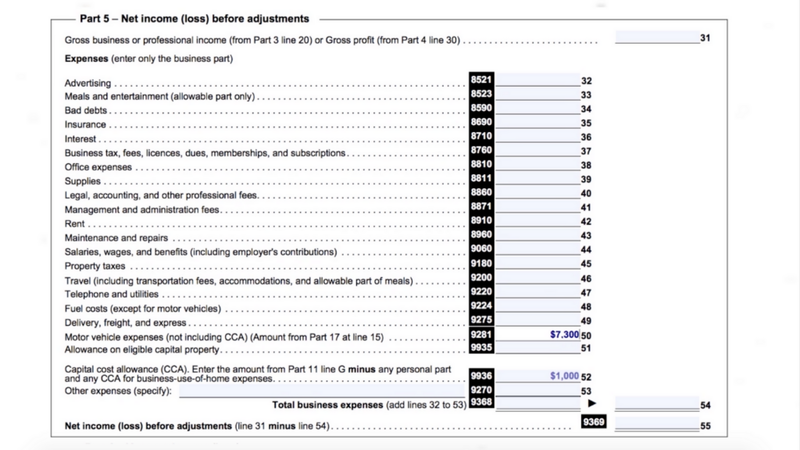 As a final step, enter the home office deduction of $4,350 on Part 6, line 61. In column 6 enter one-half of the amount for machinery purchased in the year, or $5,000. In the year of acquisition, only half of the CCA ordinarily allowed can be deducted. 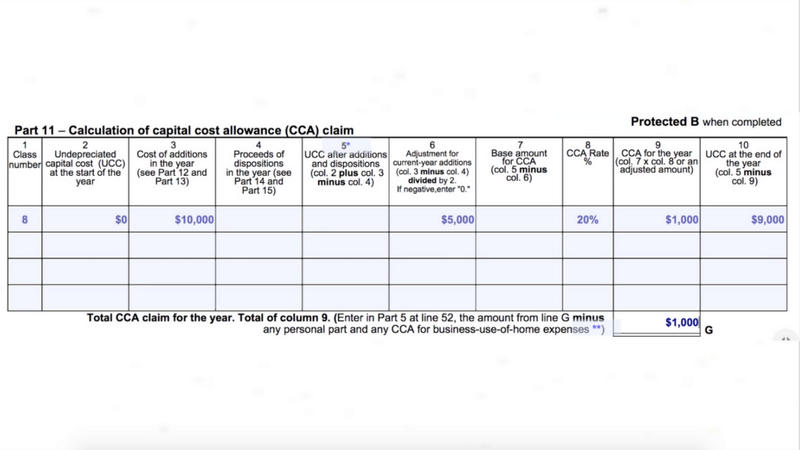 Enter the amount of capital cost allowance in column 9, which is calculated as 20% of $5,000. This comes to $1,000. In other words, $1,000 of CCA can be deducted from income. Enter the remaining balance to be depreciated of $9,000 ($10,000 less $1,000) in column 10. The final step is to enter the total CCA of $1,000 on line 52. Her total vehicle expenses for the year come to $14,600 (line 11). Furthermore, Ms. Oscar drove 5,000 km (line 1) for business purposes and 10,000 km (line 2) in total for the year. In other words, she drove 50% of the time for business reasons (5,000 km / 10,000 km). 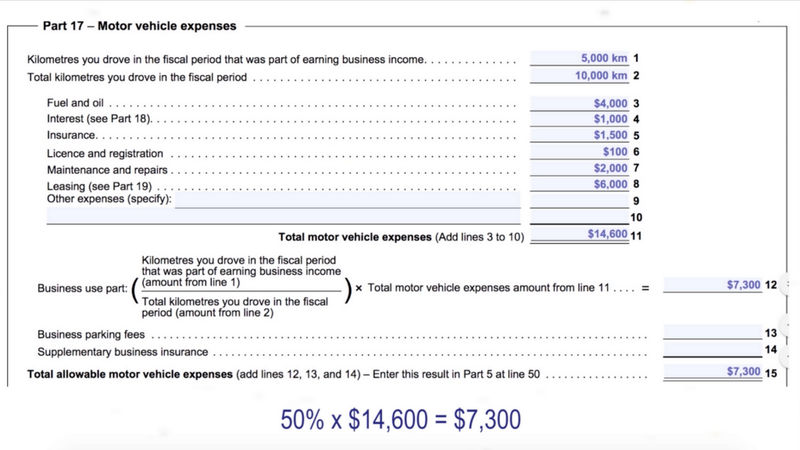 Therefore her deductible vehicle expenses are 50% of her total expenses of $14,600, which comes to $7,300 (50% x $14,600). This amount is entered on lines 12 and 15. 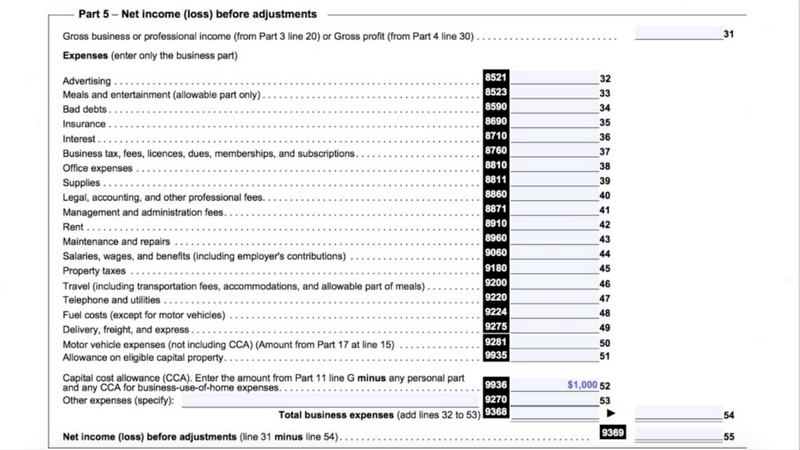 As a final step, enter the deductible portion of $7,300 in Part 5, line 50. See Part 1 For the First 6 Steps for Form T2125, the Statement of Business Activities. For self-employed individuals who would like to complete their tax return independently.